The advent of widespread car ownership transformed the childhood environments of many children. Suddenly, it was no longer safe to play in the street. 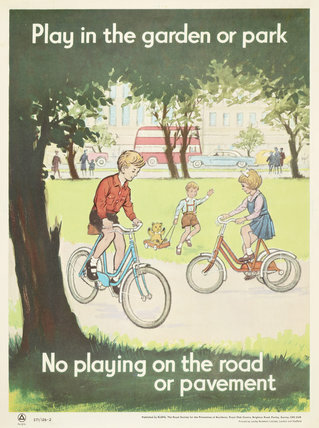 This poster promoted play in the safer environment of park and garden.